If you know what wine you like, then go for it! If you need a little help picking out a wine to go with a meal for other people (for whom you DON’T know their wine preferences), here are some basic pairing rules and guidelines. If you have a very flavorful meal like spicy Indian dishes, paella, Mediterranean lamb dishes, goulash, or even your Chipotle burrito make sure to pair it with an equally expressive wine. 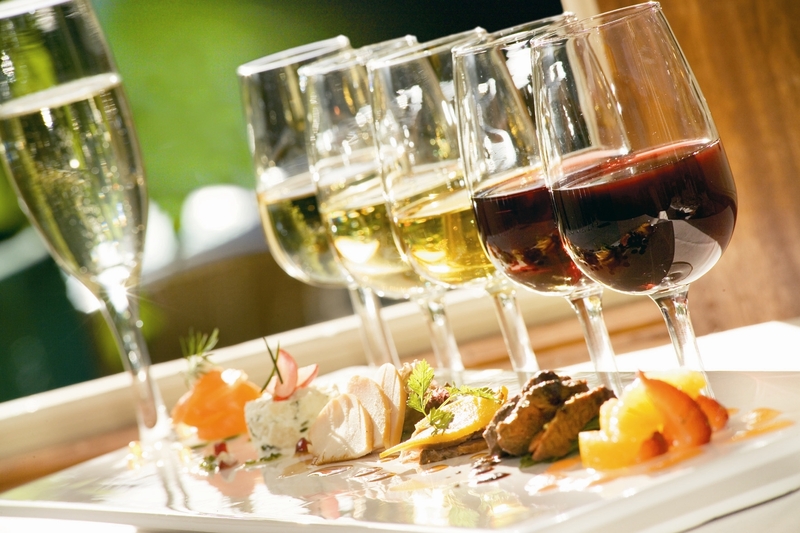 A simple, thin, and soft wine will come up flat compared to the meal. It will taste like watered down grape juice and bore your guests (plus you). Try to stick to full-bodied wines like Syrah, Merlot, Cabernet Sauvignon, and Barolo. Get some spicy red Zinfandel to dance with your Mexican feast. The darker the meat, the darker the wine. Trying to pair your favorite Moscato with that juicy sirloin isn’t really going to work unless your palate is trained to taste Moscato no matter what you eat. However, as a general rule, lighter proteins like fish, chicken, beans, shellfish, and veal pair best with a range of white wines. 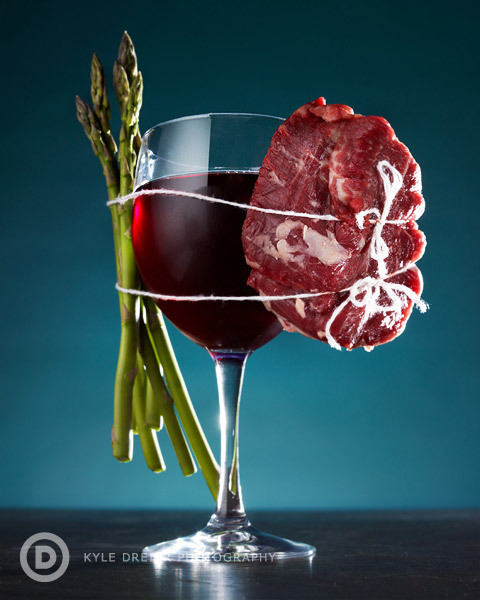 Darker proteins like duck, steak, pork, lamb, and any game meats like venison and rabbit go with red wines. Like most things in life, there is an exception to every rule. Some foods can successfully pair with White and Red at the same time. These crossover foods are duck, salmon, tuna, and roasted chicken. These foods pair well with “crossover wines.” These are wines with similar body that help white wine drinkers switch to red and vice versa. This is probably the most famous crossover pairing. If you like one then you are likely to enjoy the other (only after finding the right producer and vintage for you, of course). Don’t fall for that menu trick where you see swordfish and you’re like “oh yay, so now I need a glass of white wine” then you read the fine print and the fish is blackened with jerk seasonings smothered in a Jamaican spice sauce. Think again my friends. Order a glass of light red wine instead. The sauces are the bosses! Forget the protein! If the seasonings are strong then so is the wine. We’ve heard that sweet and spicy are a match made in heaven. Wanna try it out? Next time you are feeling spicy foods try pairing it with a sweet California rose, a sugary Moscato, or a White Zinfandel. Let us know what happens! I still need help! SOS! Don’t worry! We have trusted references to share. Pick up a copy of Kevin Zraly’s Windows on the World complete wine coursebook. It will teach you everything you need to know about wine EVER. Is that too intense? Try the amazingly user-friendly book – Wine Folly: the essential guide to wine OR use their website to search any information that you need fast. This is Kristen’s personal favorite wine blog out there! Need a dummy’s guide to wine? That actually exists! Don’t worry we promise it’s easier than you think. 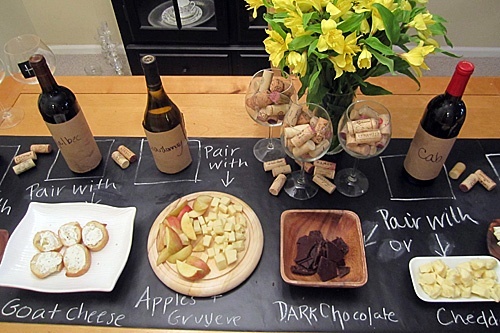 Stay tuned for a more posts about pairing wines with dessert and with specific cheeses!